If ever there were a power couple in the design space, Melanie Turner & Stan Benecki are surely that duo. 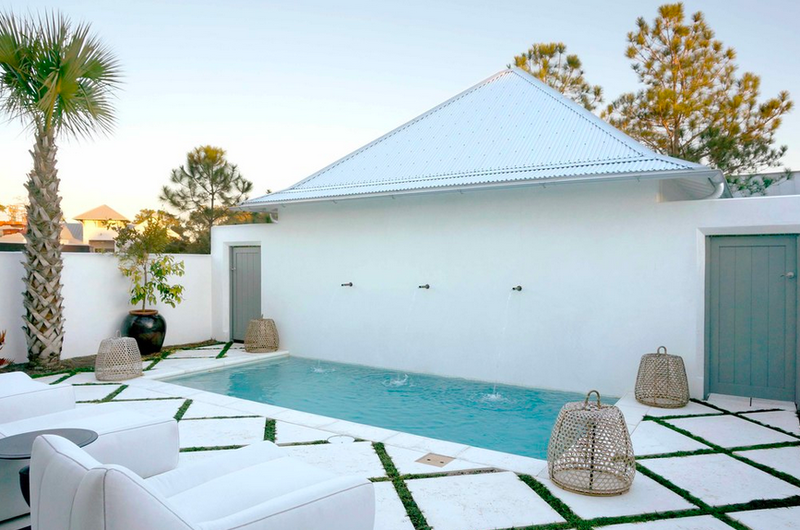 Armed with a husband designing award-winning homes, designer Turner unleashes the awesomeness of her design prowess on lucky buyers in the affluent southern residential market. If the list of designers I would hire is short (I can think of only three or four I would actually hand the controls over to) the list of builder+designer pairings is even smaller. Yet this husband and wife team has mastered the art of designing spaces you are desperate to call your own. I've raved about Melanie before, and this won't be the last mention of here here. The Atlanta designer is one of a small group of professionals whose work makes me pay retail for magazines when I see them showcased on the glossy pages. I find her style inspiring, intriguing and dripping with accessible glamour. If you're in need of a pre-weekend inspiration, pop over to her portfolio and see if you don't feel the same urge to pick up the phone and book a consultation. When I study her work I strive to decode her style and identify her hallmarks. Like all great talents, there's no specific "look" that is hers, but I do recognize a few patterns. 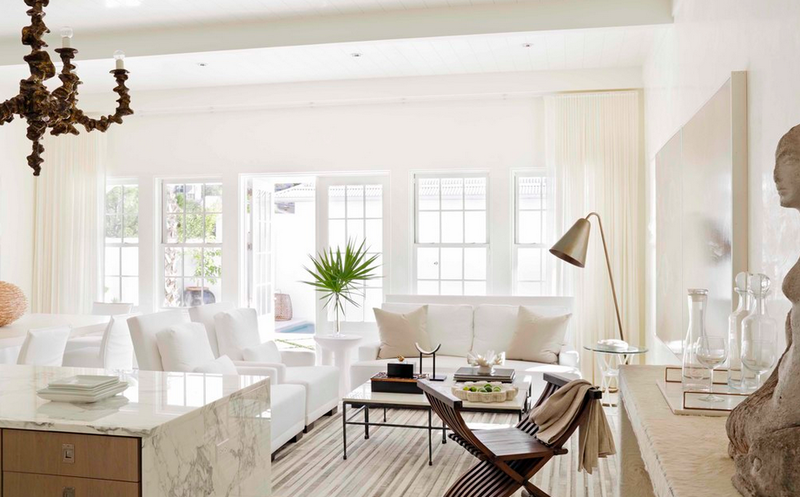 I see a love of solid upholstery: abundant neutral linen sofas and chairs with pops of saturated color via velvet for dramatic effect here and there. 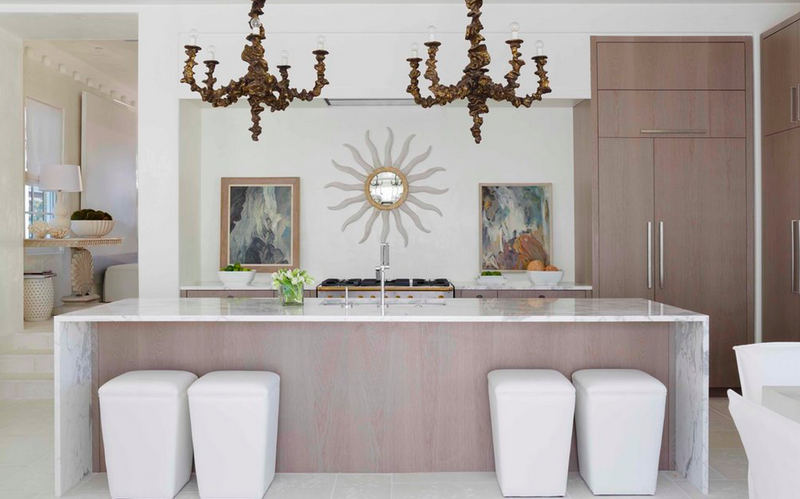 Her light fixtures and wall accessories are stunning and often gilded for that glamorous touch I crave (smartly placed up high and out of reach from pets and children). The decorative objects on surfaces tend to fall the way of natural curiosities: coral, clam shells and weather-worn objects. I love the push-pull tension of gilt opulence against the serenity that only patina and aged objects can lend. Yet what gives her the star quality to which I am drawn is her ability to surprise you. There's a relaxed vibe to the seating with plumped pillows and a heady mix of textures, that beg you to linger for conversation, but via her decorative accents and artwork she serves up bits of whimsy and curiosity. 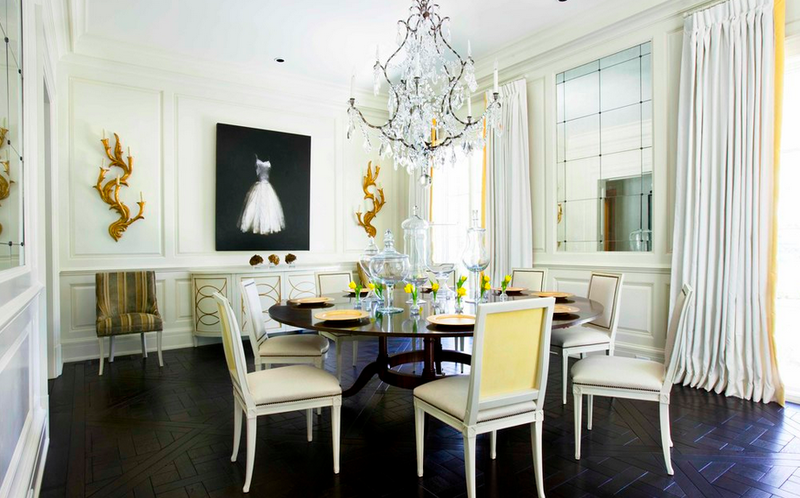 All of this is achieved with a vibe of soft modern meets minimal classicist. Nothing is forced. Nothing is overdone. Nothing says "don't sit" or "don't touch" - quite the opposite. 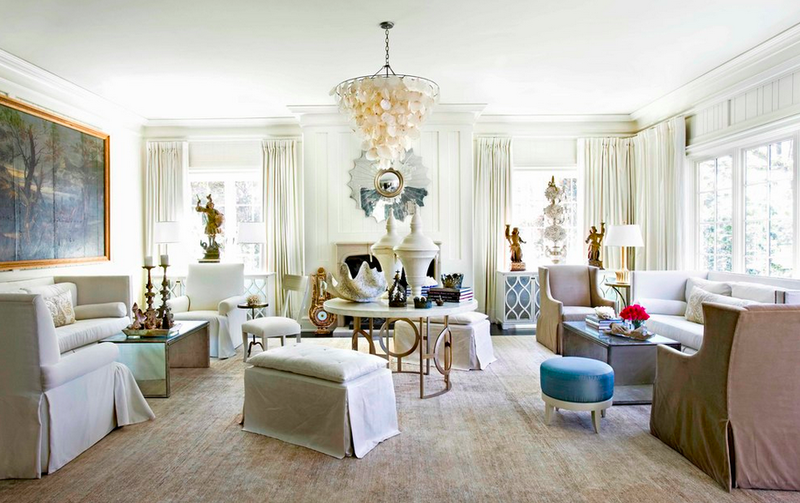 These are indulgent, inviting rooms and homes developed with an artistic touch. Melanie and Stan give you light-filled rooms promising you equally sunny moments within them. Yes, please! Whatever "it" is, Turner and her husband have it. There's no question living in a home designed by and decorated by this dynamic powerhouse would be a pleasure for anyone - especially me. Hopefully I've given your eyes a taste of something marvelous to crave as well.